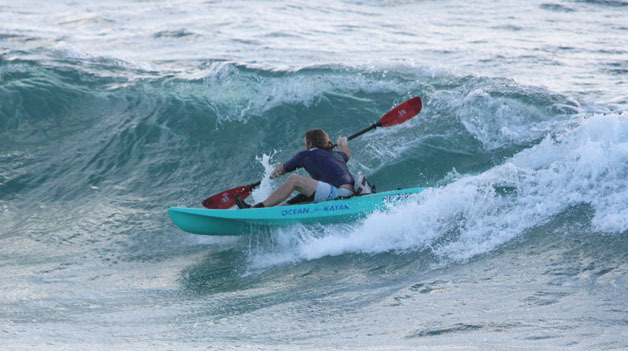 Ocean Kayak is a brand that designs sit on top kayaks specifically. Their original purpose was to create a watercraft that was perfect for divers to easily get in and out of their kayaks. Another feature that made Ocean Kayaks different to your traditional sit inside kayaks were the fact that it had an engraved cargo well in the back for scuba tanks and other diving related gear. Today Ocean Kayaks have gone way beyond their old fibreglass makes and are now made with rotomolded polyethylene that has allowed them to be mass produced. 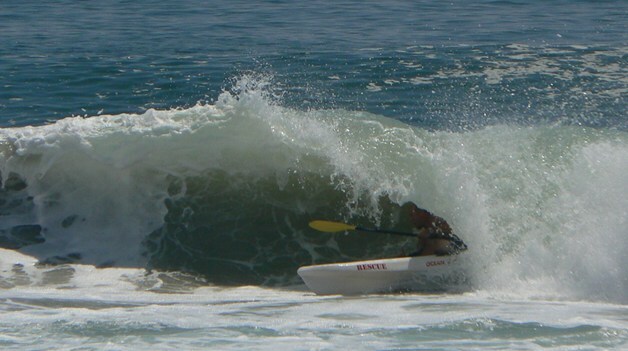 Ocean Kayak are also known for making very durable Hulls and have attached a lifetime warranty on Hull design flaws. If you are looking for a kayak that withstand tough conditions, take a bit of a beating but don’t want to break the bank for a sea kayak I would highly recommend the Ocean Kayak Scrambler 11. The Scrambler 11 is the perfect recreational kayak that suits many conditions and uses such as fishing, kayak surfing, diving or even just going for a day paddle. It’s Tri-form Hull is perfect to keep paddlers of all skill levels steady and comfortable in most water conditions within reason. The Hull allows the kayak to excel in in primary stability and be very manoeuvrable to combat the surf. The Scrambler 11s Hull also has an uplifted rocker which allows the kayaks nose to stay above waves and allows you to surf with confidence. Ocean Kayaks are known for their ability to carry lots of cargo, the Scrambler 11 is no different which is why it is a favorite with fisherman and divers alike. The rear cargo well gives you ample amount of room to strap a cooler, diving tank or a variety of different kinds of gear. The Bow of the kayak is an idea place to fit a backpack or smaller bag with you. A bonus feature that you can install is a Cargo hatch. This is idea if you are bringing a lot of items that you want to keep dry along your kayak trip. If you have smaller valuables like a lunch bag, wallet, keys or accessible tackle the middle 6” Cam lock hatch does the job. The Scrambler 11 is great for people that are of many different sizes and builds as it has a maximum rated capacity of 300- 350 lbs. The four molded in foot wells also prove helpful for people that are taller and shorter. On feature that is often overlooked with this kayak is the fact that it has a GPS holder and bungee strap located just after the bow cargo hatch. This is great place to have your GPS or phone in plain view so that you always have an idea of where you are or where you are headed. This is also great for emergency purposes as your phone would be much more easily accessible then if it were in a hatch. Handles on the bow, stern and sides of the kayak make is easy to carry by yourself or with a partner. Many Fishermen and Divers love the ocean kayak scrambler because of it’s stability and ease to get in and out of the water. One customer stated this boat’s use perfectly, “If you want a fast boat that carries a lot of gear. Go Elsewhere. If you want a stable boat for exploring and fishing this is the one to get!” . With the above quote in mind most of the people who gave the Scrambler 11 bad ratings were expecting it to be something it is not. A travel boat. The Scrambler 11 simply is not designed to cut through the water even if you look at it’s hull design and the way it is built. Others have complained about the water constantly slapping the Hull which slows the kayak down and makes for a less than smooth paddle. Most of the Reviews that are submitted by customers are ⅘ and 5/5 reviews because it does exactly what it says it does and more!